No need to say 'over'. Sick of typing out Instagram Direct messages like a chump? Well, you're in luck, because the latest version of the popular photo sharing app (ver. 73.0.0.22.185) now allows users to send their friends quick voice recordings. 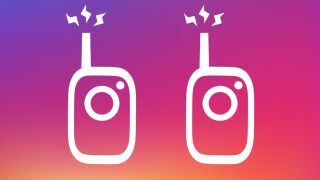 All you have to do in order to start communicating walkie-talkie style, is open any Direct message thread, then tap and hold the microphone icon to begin the voice recording process. Once you've offered your two cents, release your finger from the recording icon to send your voice message. This will work with either individual or group message threads. Unlike walkie-talkies, your messages will stick around, allowing your buddies to reply to your recordings at their leisure. The new feature arrives just six months after the introduction of video calling on the platform. Instagram Voice Messaging is available now for both iOS and Android devices.